For a few years now, it seemed that only NBA and NFL players had to deal with people digging up their old tweets and blasting them for the world to see, but things have changed recently. MLB has been added to the list and none wil likely be worse than what Josh Hader had on his account. Last night during the 2018 MLB all-star game, Hader returned to the clubhouse after yielding a three-run homer to the Mariners’ Jean Segura only to find out he had bigger issues he had to deal with. He was informed that Twitter users unearthed a bunch of his old tweets that were racist, homophobic, and sexist in nature. His account went into protection mode soon after. 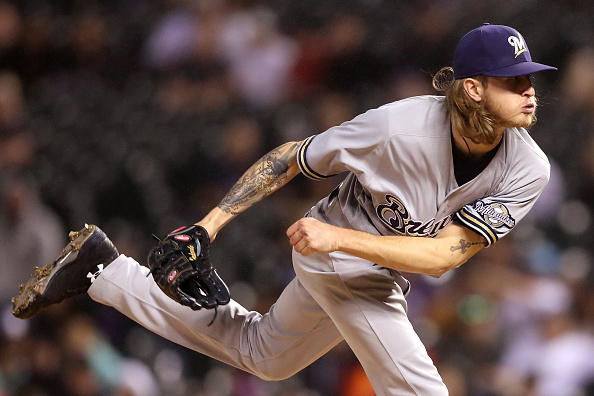 Following the game, the Milwaukee Brewers reliever apologized for his actions while vaguely mentioning rap lyrics as a reason as well as being young. As those tweets were going viral, many friends and family in attendance were forced to cover the Hader gear they had on and replaced it with blank gear to keep them safe while in the stands.